I love the opportunities that come my way because of my being a blogger. 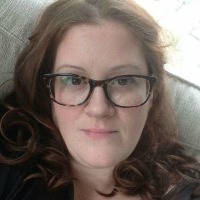 I get to travel to places I might not have otherwise, I and my family get to try cool new products, and I get paid to write about the things I love! Since blogging is my only job and the income from my site helps support my family, I’ve loved partnering with ShopShare Network. The partnership has provided income possibilities that help me keep my site and my family going! Right now, we’re helping to promote Text2Save, their new paid blogger/online influencer program that helps bloggers make money and their readers and followers save money. Everybody wins! These are the types of opportunities we LOVE to share with our readers and fellow bloggers! We wanted to make sure you know why this is such a great deal and something we trust! Text2Save is a new way to not only save big money while you shop but save the offer when you are ready to buy. So how do you know that what you’re signing up for is trustworthy and worthwhile? Well, that’s why we’re sharing this post with you! Thanks to working closely with ShopShare Network, we have the insider scoop on how Text2Save works. ShopShare does their due diligence to make sure they are offering a service that benefits everyone. Lots of research went into this program before the launch. Lawyers and compliance teams and all the boring things necessary to make sure our audience receives valuable offers from brands you love and only when you give your express permission. It’s a convenient way of shopping, save the offer for later, and share with your friends. What’s In It For Us, You Ask? Did you know that there are millions of bloggers in the USA alone? On a daily basis, we are driven to provide our audience with valuable information and product recommendations. While we aren’t professional sales people, we love to share what we love. Admittedly, this is part of how we make a living. The blogger community has gotten more and more competitive as advertisers demand more and more performance from us – they want more likes, more clicks, more comments. The net result is dollars over quality, and that’s where we draw the line. Text2Save by ShopShare Network allows us to more wisely choose what content we want to write about while earning income sharing about brands and hot deals that WE CHOOSE via social or on our blog! When you opt-in to Text2Save, ShopShare Network sends instructions to your mobile device on how to redeem the offer. It contains our affiliate tracking link which allows us to earn a small commission on anything purchased – this is at no extra cost to you. In fact, ShopShare is negotiating hard to provide some of the best deals available exclusively to their blogger network. Remember this annoying way that marketers got your attention? Texting has replaced phone calls and we think it’s far more convenient! 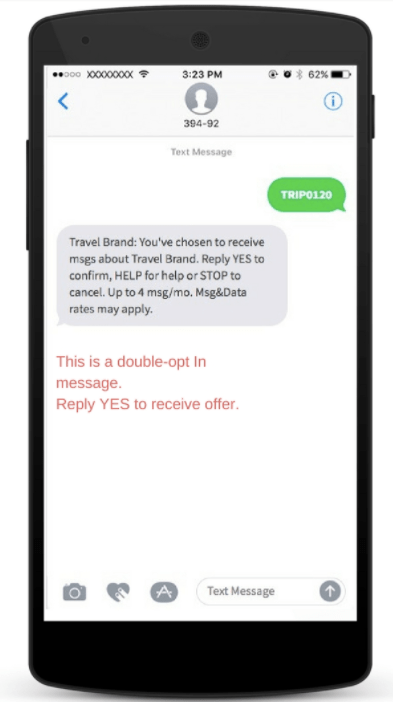 Text2Save is an efficient and effective way to deliver the offer directly to your mobile device, save money on the brands and products you love, and be able to actually find the offer when you are ready to use it. There are expiration dates and ShopShare’s Text2Save program ensures you know what you are signing up for! You may be instructed to click on the link at the bottom to redeem the offer and use promotion code at checkout to ensure you receive the discount. A reminder message may be sent so don’t be alarmed, promotions generally don’t last long so we want to ensure you take advantage. 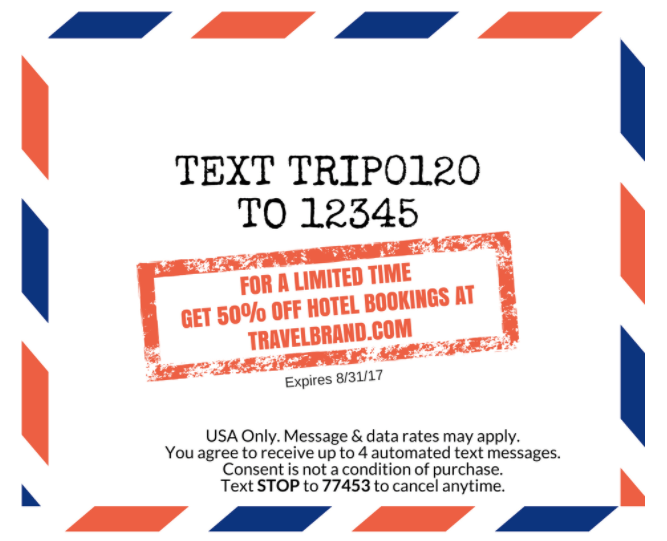 Exclusive savings – In most cases, the coupon codes offered through Text2Save are exclusive and larger than what you will find elsewhere. Always with you – How many times do you have that piece of mail with a coupon code on it with you when you want to buy the item? Or, you remember seeing a great code somewhere, but can’t find it once you’re ready to buy. Finding a current code online isn’t always easy. With Text2Save the code is in your text messages. And, I am going to bet, your phone is always with you. Customized offers – The keywords to text are niche-specific, so you’ll only get deals on what you’re interested in. 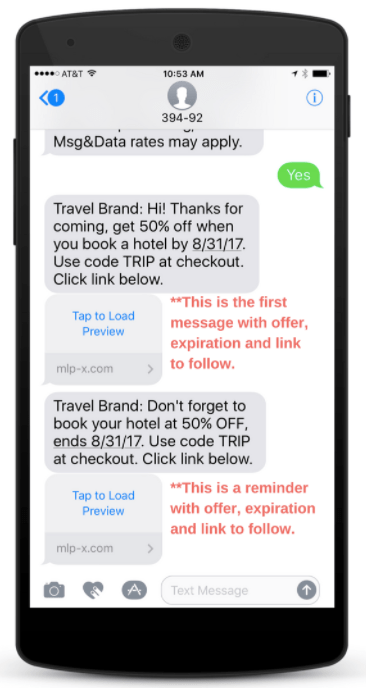 No spam – To run Text2Save offers on the brand’s side, much compliance is necessary. That means you can read exactly what you are signing up for. The disclosure message will say exactly how many texts you will receive, and you can believe it. Compliance is not something anyone wants to mess with. Opt out anytime – There’s clear messaging on how to opt out easily at any time. If you signed up for more than one promotion and the short code, otherwise known as the number you text to, and enter STOP you will be opted-out of all promotions associated with that number. You can choose to opt-in again when you see an offer you like. Easy peesy! Advertising continues to evolve with technology. Text2Save is not a gimmick or spammy trick; it’s simply a way to reach people where they are nowadays – their phones. Consumers can reap the rewards in big savings. Influencers can participate to earn affiliate money. Stay tuned for amazing Text2Save offers from us! Most Amazon Prime Day Deals Were A Bust – Here’s Proof! Thanks for sharing about the text2save affiliate program. Of course! Thanks so much for commenting.